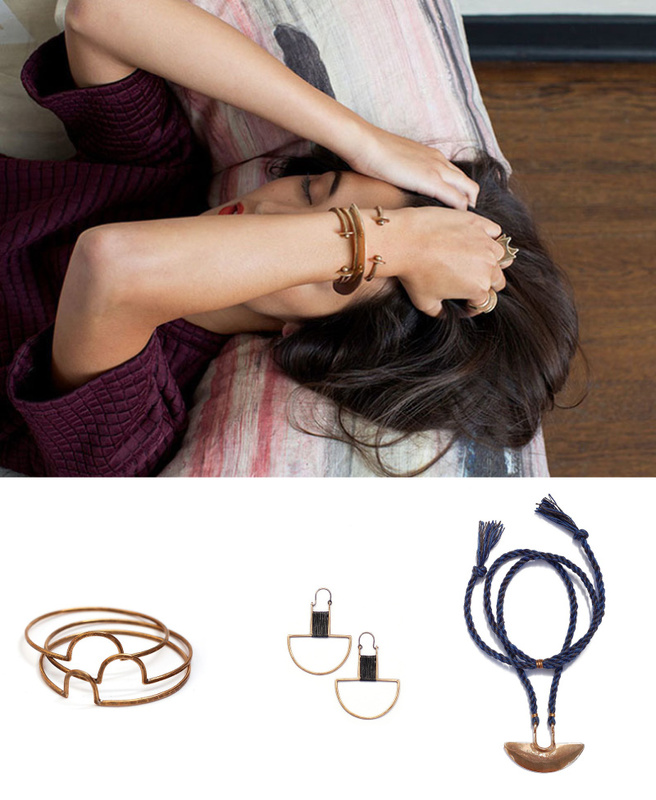 I recently stumbled upon Tiro Tiro, a jewelry line out of Portland. I love the distinct simplicity and bold designs of her pieces, they are very feminine and beautiful. She’s using interesting materials like colored thread and rope combined with bronze and gold. The cuffs are to die for and I really like the stacked rings. And the styling of her collections is pretty fab too.